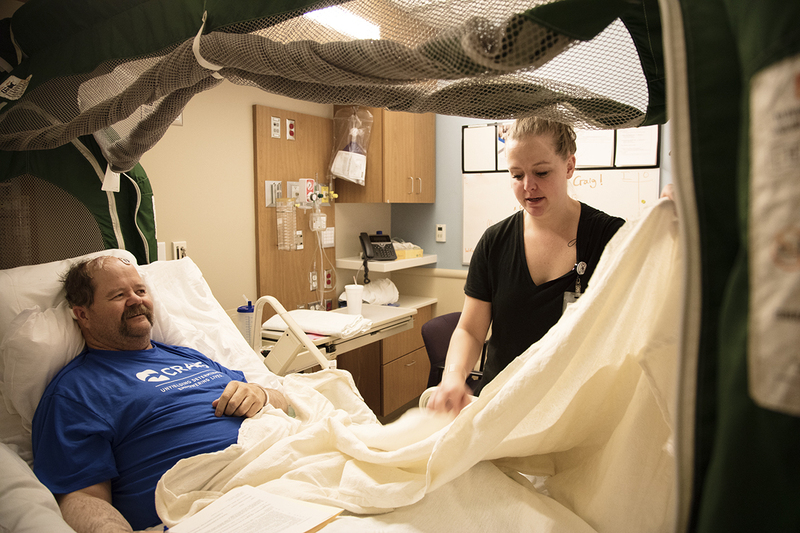 Craig Hospital nurses have to be exceptional as they serve on the front lines and work with patients who have suffered life-altering injuries. Patients who have sustained a traumatic brain injury (TBI) can be challenging, but there’s one young nurse who is especially empathetic to their situation. “The harder the patient, the more I want to take care of them,” said Jeanie Sederberg, RN, BSN. Jeanie has a unique understanding of what TBI patients and their families are going through because she lived it. Jeanie was first a patient at Craig after sustaining a TBI in 2009, the summer before her senior year of high school. She fell down cement stairs and spent nearly a month at Littleton Hospital before she was transferred to Craig where she underwent rehabilitation for almost three months. 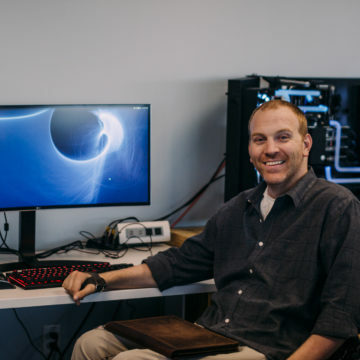 When she left Craig, she continued her high school studies, eventually returned to Littleton High School in January after her accident, and graduated in the spring with the rest of her classmates. A year after she first came to Craig, she left for Santa Clara University and graduated four years later with a bachelor’s degree in psychology. It was after she returned to Denver that she felt the tug toward nursing. She began working as a certified nursing assistant (CNA) while she went back to school to earn a second bachelor’s degree in nursing. 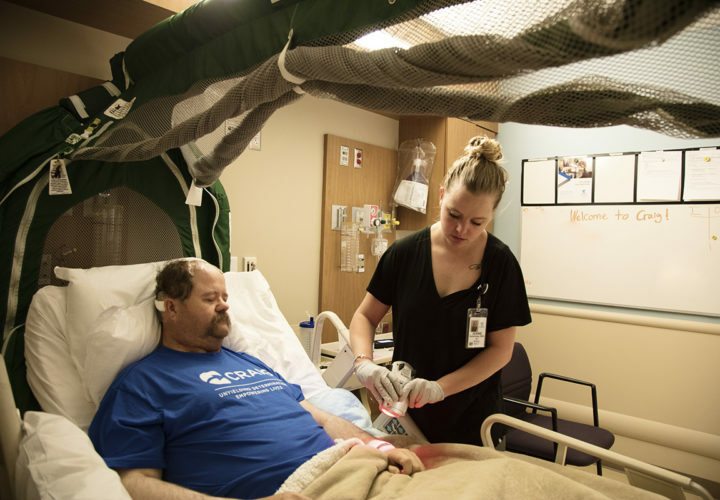 After four years of working as a CNA, with her bachelor’s and RN in hand, she applied to Craig’s new graduate program and began working at Craig in November 2016. “As a new nurse, I did not think I would end up at Craig, but the timing of everything was too perfect and it seemed like a sign from the universe that I needed to come back,” said Jeanie. 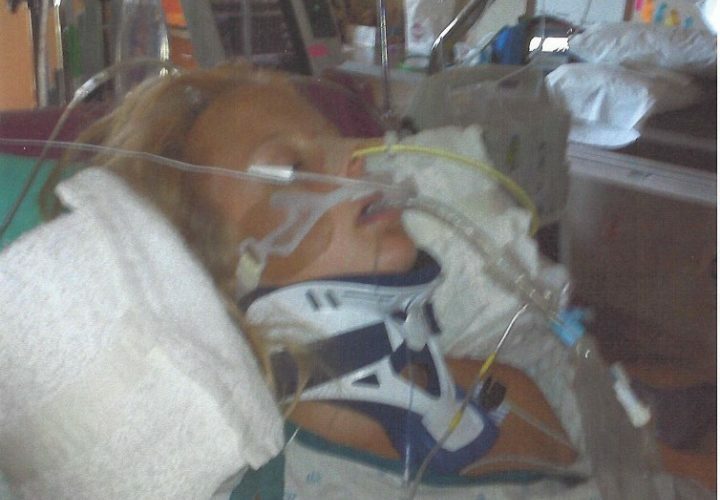 Jeanie in the ICU right after her injury back in 2009. 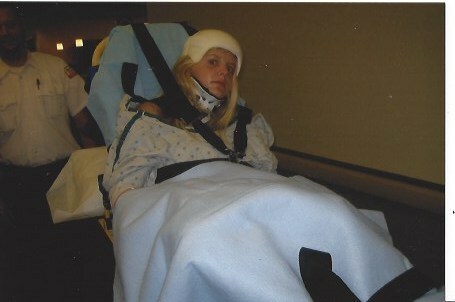 Jeanie being transported to Craig Hospital to start her rehabilitation in 2009. 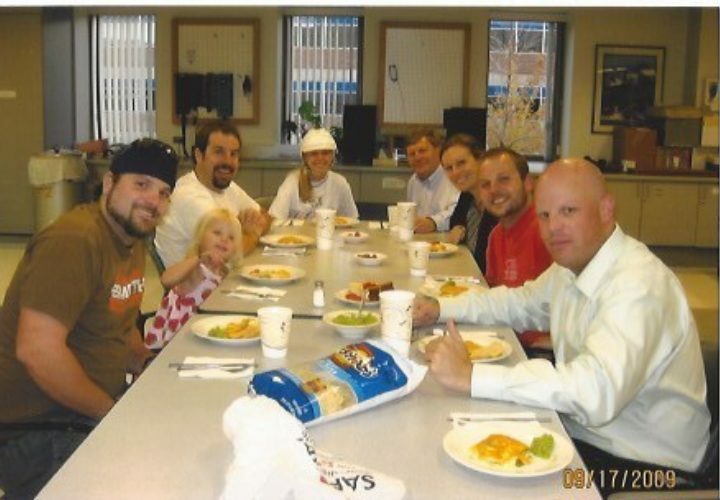 Jeanie enjoying a meal with her family during her rehabilitation at Craig Hospital.